Krampus! They were quite a spectacle! I have never seen anything like it. The tradition goes something like this. 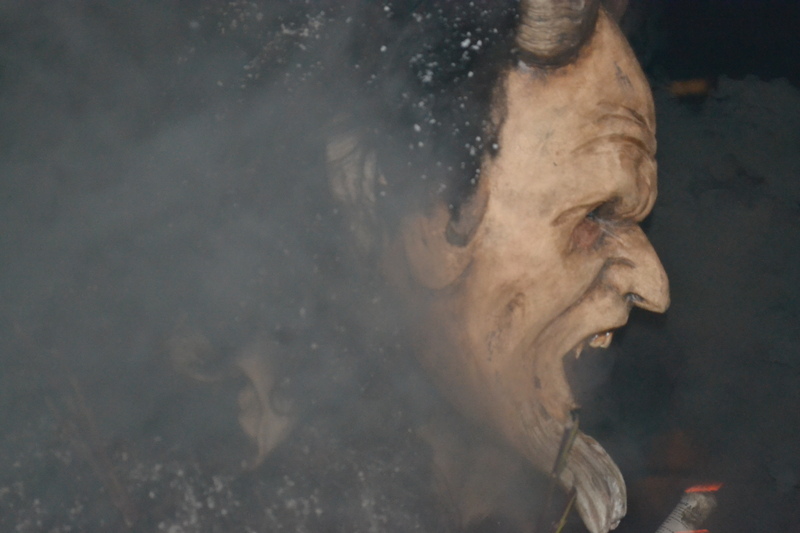 On December 6th, St. Nicholas (who is similar to Santa Claus) and Krampus come for a visit. Children are left apples, nuts and sweets if they are good and are dragged away by Krampus to his hellish lair if they are not. So you better be good! 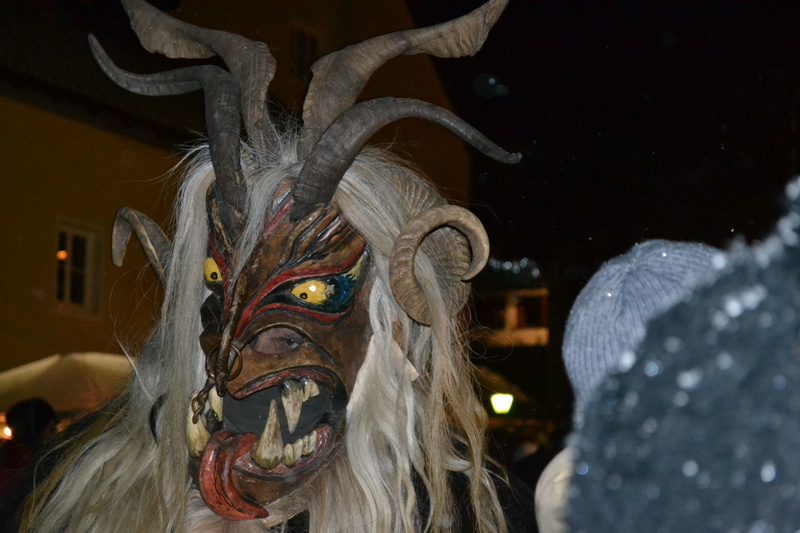 There are many festivals and parades called Krampuslauf, leading up to Krampusnacht, celebrated on December 6th. They usually begin at night fall and large groups, mostly young men, dress in their incredible costumes and prance down the street, stealing hats and scaring people along the way. We found ourselves at the Koppler Krampuslauf, on a snowy cold night. It was a perfect time to enjoy some delicious hot punch and the girls had the kinder punch (non-alcoholic) to keep them warm. Once the parade started we were close to the action, as it went on we moved back a little, my youngest daughter got a little scared of these beasts. She knew it was all in fun, but their costumes and actions can be pretty scary! They were amazing! To learn about and be a part of this tradition dating back to the middle ages and earlier, was an incredible treat!